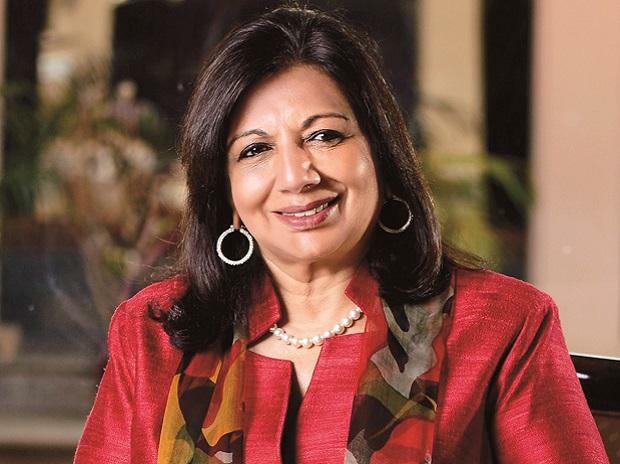 Infosys said Thursday its Lead Independent Director Kiran Mazumdar-Shaw had inadvertently through her portfolio management services sold 1,600 shares of the company without obtaining pre-clearance of trade. Following a review by the audit committee of the company's Board of Directors that determined that there was a violation of the Infosys Insider Trading Policy and the Prohibition of Insider Trading) Regulations, 2015, a penalty of Rs 9.5 lakh has been imposed on Mazumdar-Shaw. "On February 13, 2019, it was brought to the attention of the Compliance Officer of Infosys Ltd that Kiran Mazumdar-Shaw, Lead Independent Director of the company, had inadvertently, through her portfolio management services, sold 1,600 shares of Infosys Ltd without obtaining pre-clearance of trade," it said in a regulatory filing. It added that the transaction occurred when the trading window was open. "The Trade was carried out by the portfolio manager without the knowledge of Ms Mazumdar-Shaw," it said. The filing explained that in portfolio management services, the investor does not generally monitor the day-to-day investment decisions and in this case too, Mazumdar-Shaw had given no instruction to conduct the trade. "... she also had no knowledge of the trade having occurred. The portfolio manager unilaterally took the decision to conduct the trade," it added. The penalty amount of Rs 9.5 lakh will be payable to a charitable organisation of her choice, the filing noted.